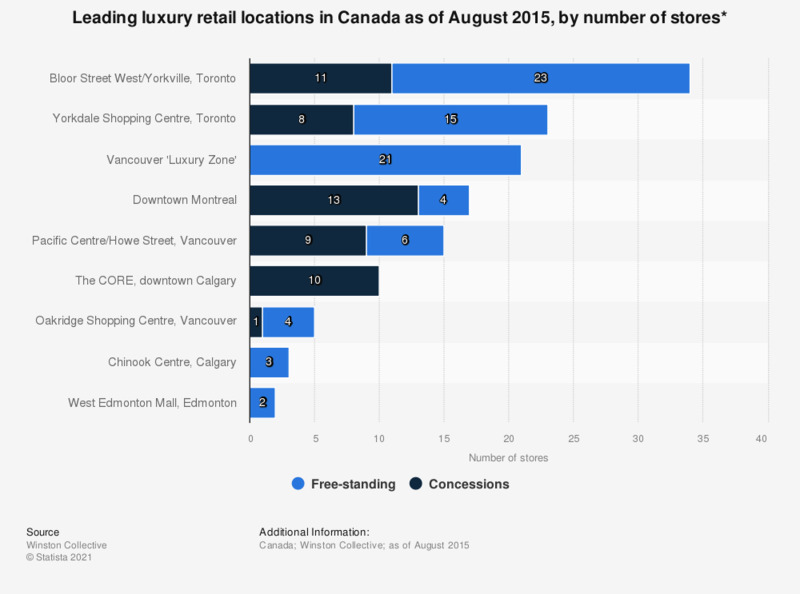 This statistic shows the leading luxury retail locations in Canada in 2015, by number of stores. Bloor Street West/Yorkville in Toronto was the leading luxury retail location, with 23 free-standing luxury brands and 11 concessions. * The source defines luxury brands as those featuring high price, quality, aesthetics and rarity.